This two-volume work levels both criticism and challenge to traditional developmental psychology. For too long, developmental psychologists have been studying individuals as if they developed in a sociocultural vacuum. As psychologists began to study the individual's development more broadly, they considered the impact of a number of other factors in the physical and social environment: early education, sociocultural differences, mass communication, alternative living arrangements, and medical care--to name but a few. Volume I, Historical and Cultural Issues, examines the problems of behavioral development from historical, political, theoretical, and cultural points of view. A number of content areas already familiar to developmental psychologists are discussed: Piaget's theory, perceptual development, socialization, and language acquisition. In addition, topics relatively unfamiliar to American psychologists are included: the contribution of early European developmentalists such as William and Clara Stern, Alfred Binet, and Eduard Spranger; and an introduction to recent Soviet developmental theory. 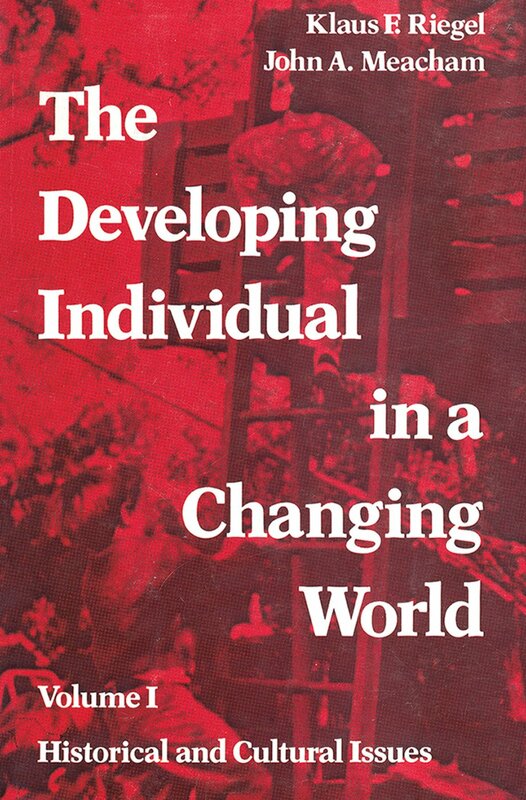 Volume II, Social and Environmental Issues, considers the effects of changes in social and environmental conditions upon individual development. The expanding impact of technology such as the communications media, the importance of nutrition, and the design of playgrounds and other spaces for growing children are among the changes examined, as are the impact of social organizations and interactions within small groups, focusing upon preschool education, interaction within the family, and personality development throughout the individual's life.